Valley Solutions, Inc. is currently looking into developing an artwork registry. The artwork registry's purpose will be to help art collectors and investors keep a public portfolio of the the art they've collected. Contact information is limited keeping identities secure. The hope is that our registry will act as a tool to assist drive the artwork market. A registry will allow collectors and enthusiests to find information on private collections and possibly drive a large solicited and unsolicited market. The works of hidden artists like Arkady Ostritski would be searchable and buyers would be able to contact independent owners to discuss his paintings or to make an offer to purchase. 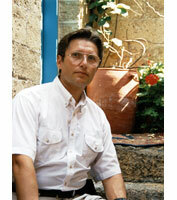 Arkady was born in 1948 in Kishinev, Moldova. He was recognized very early as gifted in drawing and painting and by the age of 20 was accepted in Moldova's most distinguished Art Academy - the Rapin Art Academy. He graduated with distinction, earned many awards, and became one of his country's most important painters. He was chosen to paint numerous monumental works in public institutions, and created many large frescos. He also became a distinguished art teacher and many young artists came under his tutelage. When the gates of the USSR opened he traveled extensively through Europe where he fell in love with Europe's buildings and architecture, particularly those in France. This love affair continues today, even after his immigration to Israel. His subjects include the streets, buildings and shops of France, Italy, England, Greece and Spain. His work creates poignant vignettes, establishing a unique and special relationship between him and these magical places. As with all Israeli landscape painters, his use of Mediterranean light is a powerful unifying force in his work. He has had numerous one-person and group exhibitions in galleries and museums throughout the USSR and Europe, in addition to several exhibitions in the U.S. and most recently in Japan.